A job that lets you travel across Mongolia… AND play table tennis while you wait at the airport?! I couldn’t help but feel lucky—I knew it would be an eye-opening experience to visit all these different parts of Mongolia. After all, I think most Kiva Fellows are in this as much for the professional experience as for the exposure to new countries and cultures. Why not mix business with pleasure if you can? I’ve talked before about some of the work that Kiva Fellows do when we visit branch offices during our BVs, but what I didn’t explain was how, in order to successfully complete a BV, the Fellow must meet with every single borrower on the list. If for whatever reason, a borrower is unavaible or nowhere to be found (and that’s happened before! ), the sample must be re-drawn and 10 new borrowers must be verified—no matter how close you were to finishing the first set of 10 (and irrespective of how far and long you had to travel to see them). So it’s safe to say that Kiva Fellows sweat it a little when these meetings don’t line up perfectly. And people are often on the move, which can raise some serious logistical challenges sometimes. Kiva borrower Aibek – what a relief it was when we finally caught up to him! The trickiest part was that he was only planning to be in UB for a few days—which meant that by the time we came back from our branch visits in Bayan-Olgiy and Uvs provinces, he would have left already. We couldn’t change our flights, and flying to Bayan-Olgiy a second time was pretty much out of the question. So the best thing to do was to meet in UB during the weekend. We made plans to meet him on Saturday at 10 a.m. in his neighbourhood. We made our way to the east end of the city and waited… No Aibek. Batzul called the loan officer in Bayan-Olgiy, who then called Aibek, but he wasn’t picking up his phone. We communicated through his wife, who was at home. We waited and waited. No Aibek. We gave up and agreed to try and reschedule. Our opportunity came that afternoon. Aibek, the loan officer told us, would meet us by the Wrestling Palace at 1 p.m. When we got there we searched in vain for any passers-by who looked like the man in the borrower profile. An hour passed. No Aibek. But the third time’s a charm, right? On Sunday afternoon I got a call from Batzul—Aibek had been located! We hopped in a taxi and made our way to the west end of the city. We were driven to a desolate, industrial area surrounded by auto body shops, where random vans were parked and people seemed to be waiting around for something. We waited in the safety of the taxi, but when no Aibek appeared, we cautiously stepped out and started asking strangers if they knew of our man. Eventually, one of them pointed us to a van, and lo and behold, Aibek was there! Our first stop in our travels was Bayan-Olgiy. Bayan-Olgiy is a special part of Mongolia: This region is home to the country’s Kazakh minority, giving it a very distinct feel from the moment you arrive. The Kazakhs, who make up some 90% of the population of this province, adhere to Islam (rather than Buddhism, like much of the rest of Mongolia), and the predominant language is Kazakh, not Mongolian (though most people speak both). From my hotel window, I could hear the evening call to prayers. The Kazakhs were first drawn to the high mountain pastures in the region in the mid-1800s, where they let their sheep graze during the summer months. Throughout most of the 20th century, they were an isolated, tight-knit community, and this region is considered even by people in Kazakhstan as the best-preserved example of Kazakh culture. One of the things it’s best known for is the Eagle Festival, which takes place every year in October. I think my Kazakh colleagues were as curious about me as I was about them. I immediately started learning some words in their language. Instead of bayarlalaa for ‘thank you,’ they say rahmed. Amansasbaa is the common greeting, whereas in Mongolian it’s sain bain uu (or more casually, you can say salem in Kazakh). And learning to say tansganmaa huanshtaman (it’s nice to meet you) came in pretty handy several times later on! Having finished our work at the branch quickly, our colleagues took us to see the main mosque in town, followed by a hike up a nearby peak to get a beautiful view of Olgiy, the Altai Mountains, and the river that flows from them. Later, the Branch Director and driver took us on a long and bumpy drive to Tolbo Nuur, a freshwater lake about 50km south of the city centre. Though it was still frozen, it was amazing to see a body of water (there aren’t many in Mongolia!). Next stop: A visit to the Branch Director’s extended family living in the countryside! True to Kazakh/Mongolian hospitality, they welcomed us warmly and prepared a massive and delicious feast for us. It’s customary for people in Mongolia to welcome strangers—locals and foreigners alike—into their homes and feed them. It stems from their nomadic history, in which families would help other people who were passing through the area, or receive visitors from different parts of the country (for example, the capital) and exchange news with them. It’s a beautiful aspect of the culture here. By midweek, we were bidding farewell to our new friends in Bayan-Olgiy and boarding another plane, this time bound for Uvs. We were welcomed at the airport by a small crew, and no sooner did we arrive at the branch than we got down to business. Client waivers, visits to borrowers, loan officer training—check, check, check! Then the branch staff treated us to a warm welcome dinner at a nearby Korean restaurant. We were starting to feel like royalty! The following morning, we had certificates and tokens of appreciation to hand out to 5 Kiva borrowers who had repaid their loans on time (or early). It turned out that the Branch Director had invited the local television crew to film the small ceremony! They asked me to say a few words about Kiva, so I was happy to talk about the good work Kiva and XacBank are doing. It aired on the evening news that night. I guess that makes me famous in Mongolia! Next on the agenda was a trip to Uvs Nuur, a saltwater lake that is the largest in Mongolia. Lucky us! We followed a road for part of the trek but veered off after a while to avoid muddy areas where our SUV could get stuck. We zigzagged across an open field and eventually made it to the water’s edge, where Mongolians love to come and take a dip in the summertime. It was a cool but sunny afternoon, and we took in the warm rays as we sat idly by the water’s edge and enjoyed the picnic our colleagues had packed for us. We couldn’t have spent a nicer time in Uvs! The following week, we hit the road for two more aimags, Arkhangai and Bayanhongor. some stretches of the road where you don’t want to get stuck! seems sturdy enough for our SUV, right? There, we had the opportunity to meet some borrowers who told us about their businesses. It’s always rewarding to make the connection between the borrower profiles on Kiva’s website and the people who are actually behind them. It’s also nice to see microcredit working effectively. These lovely ladies passed along their thank you’s to their Kiva lenders… Allow me to introduce them. Byambahuu is standing in front of her produce and variety stand at the local market in Tsetserleg. She was recognized by XacBank for her efforts to repay her loan on time, getting back 9% of the amount she paid in interest deposited back into a savings account. Oyunchimeg has a dairy stand at the local market in Tsetserleg, where she sells cheese curds and other milk products. She makes some of these products herself, while the rest she purchases from nomadic herders in the countryside. Munhdelger sells a variety of housewares and other useful household goods at the outdoor section of the local market in Tsetserleg. Gerelmandah is a tailor in Bayanhongor who takes custom orders to make beautiful traditional Mongolian clothing, such as deels (below). It’s a trade that was passed on to her by her mother, and one which she is now passing on to her own daughter. While visiting these aimags, we also learned about some of Mongolia’s rich natural history. Not far from Tsetserleg, Arkhangai’s city centre, is Taikhar Chuluu, a large rock formation that juts out in the middle of a wide plain. Legend has it that a snake emerged from the earth one day, many moons ago, and a hero named Bökebilig forced it back and sealed off its cave with this rock. The rock has been revered by various civilizations since ancient times, as evidenced by the Mongolian, Tibetan, and Turkic inscriptions which can be found on it (the latter which dates back to the 6th century AD, although sadly, most of the inscriptions have been overwritten by modern-day graffiti). And did you know that it’s possible to smuggle a dinosaur out of a country? Luckily, the one that was taken from Mongolia is now on its way home. Bayanhongor, which is part of the Gobi Desert region, is home to some of the incredible dinosaur fossils that have been unearthed since the 1920s. These include many dinosaur eggs and several Velociraptors (which of course you’ll remember from Jurassic Park!). One of the most famous discoveries is of a Velociraptor and a Protoceratops that were locked in battle and frozen in time 80 million years ago. You can also see exhibits such as a nest of newborn baby dinosaurs, and a mother protecting her young at the Natural History Museum in UB—that is, when they’re not out touring the world! I witnessed another curiosity during these BV travels. In a country where there are effectively no street names or real addresses, I’ve been intrigued by how mail gets delivered around here. You may know that the Mongolian Empire had a highly developed mail system at the height of its rule. People have assured me that when they receive mail—that is, anything that cannot be taped to their doors—they are given notices to go pick it up at the nearest postal outlet. Sounds reasonable, right? But the truth is, Mongolians today have instituted an informal delivery system that would surely do Chinggis Khan proud. My edification began as Batzul and I waited in line at the check-in counter in the UB airport to fly to Bayan-Olgiy. A man was hovering nearby, and finally he approached Batzul. They exchanged a few words in Mongolian; he passed her an envelope, and she took down a phone number. I observed the whole interaction somewhat suspiciously. ‘What was that all about?’ I asked after the man had gone. As if that explained everything! My jaw must have dropped. I started sputtering… What? How? Who?? I was full of questions! These questions were somewhat cleared up when we arrived in Olgiy. As we stopped for lunch with our branch colleague, Batzul got on the phone and a short while later, a lady walked into the restaurant. Just a few words were exchanged before the envelope was handed over and the lady walked back out. I watched in fascination. ‘How did you know she was the right lady?’ I exclaimed. ‘Because I just talked to her on the phone,’ Batzul answered matter-of-factly. ‘But don’t you need to see her ID or something?’ I persisted. This happened again and again until I finally started to believe in the system. Coming back to UB this time, we walked out of the baggage-claim area of the airport and Batzul delivered another envelope straight into the outstretched hands of a stranger. She knew him by the black shirt he was wearing, she assured me. On the way into the city, our driver stopped along the road from the airport, not once but twice, at seemingly random intersections where our little Messenger hopped out, delivered her goods to waiting recipients, and hopped back into the car. I was blown away. Speaking of this Messenger, delivering envelopes isn’t Batzul’s only talent. For the past four months, I’ve had the pleasure of working with her, and for good reason: She is a truly exemplary Kiva Coordinator. We’ve worked closely together, particularly during all of our branch visits for the BVs, and I must say we’ve made a great team. We get our work done quickly and efficiently, and even have time left to have some fun (as you now know). But it’s not just that. Batzul is an impressive young professional all on her own. She is always on the ball with her Kiva work and manages several other projects on top of that. But the best part about her is that she takes immense pride in her job as a Kiva Coordinator, and also in the fact that her work is impacting the lives of many Mongolians. Whether we are running a training session together, or visiting a borrower, she’s been far more than just a translator. She elaborates by adding anecdotes and lessons from her own stock of experiences, including her interactions with branches, loan officers, and clients, thus adding colour and depth to the messages we deliver. She makes my job as a Kiva Fellow easy! Just as I had thought, the opportunity to see so many different parts of Mongolia for my BVs was fun, rewarding, and incredibly enriching. And I have Batzul, the Kiva borrowers, XacBank, and all the incredible people at the branch offices we met to thank for that—so from the bottom of my heart, thank you everyone for a truly amazing experience! 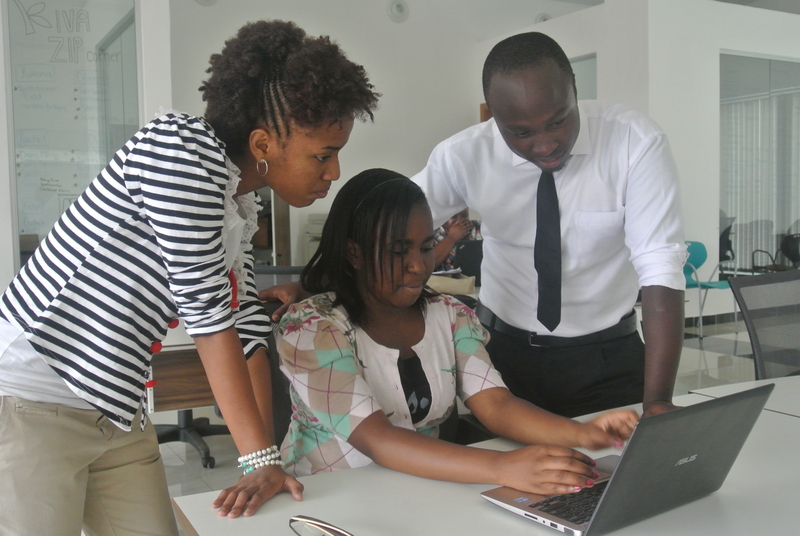 Young Kenyans are harnessing their country’s growing tech prowess to go into business for themselves. 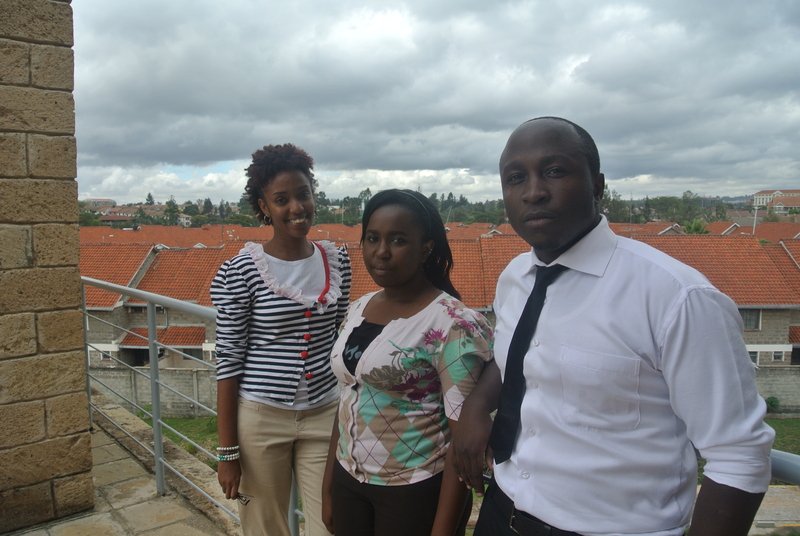 For example, Jamila Abbas and Susan Oguya, created a mobile application called M-Farm. The application allows Kenyan farmers to access real time market information, buy farm inputs from manufacturers and find buyers for their produce, all through SMS. Lorna Rutto started EcoPost, a company that turns plastic waste into durable fencing posts, an environmentally friendly alternative to timber. At Strathmore University, Kenya’s leading institution for business and accounting, many students are interested in pursuing traditional career tracks like joining the ranks of major financial firms, but quite a few are just as eager to start their own enterprises like Jamila, Susan and Lorna. 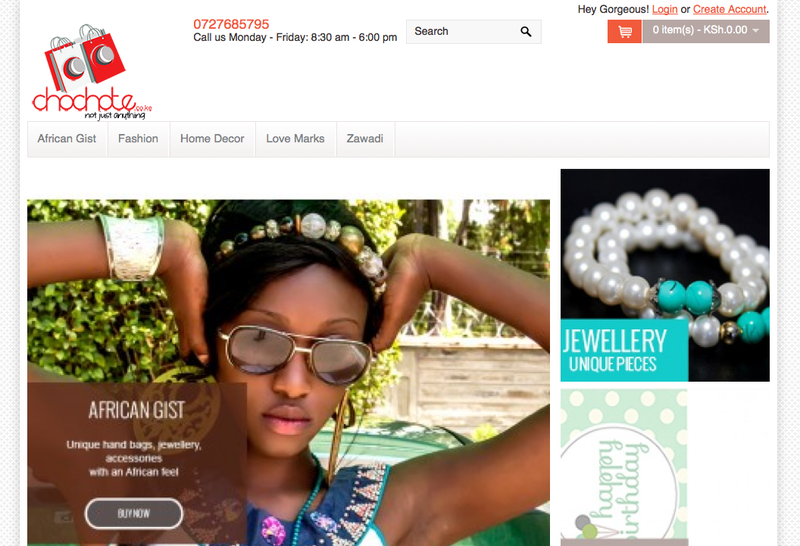 On a recent afternoon on campus, I sat down with Asha Mweru to discuss Chochote, an e-commerce platform that she launched with her classmates Ivy Wairimu and Victor Karanja. Chochote, which is the Swahili word for “anything,” started as a simple classroom assignment. Perhaps, the team’s experience will have them avoiding 9-5’s forever. They’re part of a new generation of Africans who are inspired by the likes of Muhamed Yunus, public intellectual Dambisa Moyo and the founder and CEO of Open Quest Media, June Arunga, among others. Both women were chosen by Forbes Magazine to be among the 20 Youngest and Most Powerful Women in Africa. In addition to the rise of visible role models that they can relate to on the global stage, their immediate environment is more conducive to innovation than ever. In Kenya, sky’s the limit. Following the Sendong typhoon, many Cagayan de Oro residents were displaced. I visited one of the resettlement villages, Xavier Ecoville. Flood victims are still currently living in temporary wooden accommodation built by agencies like Habitat for Humanity. But new permanent housing is being constructed, with the philosophy “We are not just building houses, we are building a community”. Among the first facilities constructed are a church and a community hall. There are also a health and family planning center, day care and preschool facilities, and covered basketball and volleyball court. Housing is in low-rise terraces, enabling neighbors to mingle in the street. Strong family bonds. Filipinos typically have large families. Working children are responsible for helping support parents and younger siblings (including their education). Children will frequently work abroad to accomplish this. Such family obligations imprint a model for shared responsibility in the broader community. Note: However, nowadays many Filipino couples separate and many children are born outside of marriage. Nevertheless, parents or grandparents always take care of the children if the mother cannot. Living accommodation. Single Filipinos typically live with their family until they marry and establish their own family home. Young Filipinos studying or working away from home typically live with colleagues in boarding houses, which provides a community atmosphere in place of the family home. Few Filipinos live completely alone, even when elderly. Avoidance of conflict. Filipinos rarely get angry or raise their voices. If I say something critical, a Filipino will ask “Are you mad at me, Sir?” leading me to soften my response. I do not see angry rows or fights even in drinking establishments. When I berated a young girl for pushing in front of me in a grocery line, she just remained silent. And when my motorcycle taxi nearly collided with a motorcyclist who had pulled in front of him, there were no expletives. They both just smiled and chuckled. Community service. I met a large group of students who were studying a college course in cleaning neighborhoods and planting mangroves. When they graduate, they will be unpaid volunteers. In the cooperatives I have visited, serving the community (especially the poor) is always stressed in the devotionals and board members provide their time for free. Performances and shows. Church, school, college and office events bring people together to practice for dance performances, beauty contests, sports contests, etc. Fiestas. Each municipality has an annual fiesta when community members who live away return home. There are family reunions, school reunions, church services, public entertainments, and the roaming meals where people visit a succession of homes to eat. Texting. Throughout the day, Filipinos text small talk like “Good morning!” and “Have you had your breakfast?” This is an extension of normal social interaction. Maintenance of local bonds while away. Overseas Filipino Workers (OFWs) maintain social connections with others from their city or region – for example maids in Hong Kong or workers in the Middle East congregate on particular streets or intersections designated for their home location. Whatever the reasons, there is no doubt that Filipinos have a strong sense of community – both with other Filipinos and (happily) in welcoming visitors from other cultures. Afterthought: This may explain why Filipinos so readily ask foreigners for money. When they see financial inequality, it seems only right to share it. However, they don’t seem to resent the rich-poor divide within their own country enough to change it. Water and Sanitation may not be the first issue that people associate with Kiva. I dreamed vividly during the Monsoon season in India: I woke up covered in sweat from the burning heat and the wind howling outside my window. Only – I didn’t! … I was no where near India. I was in Washington DC, and as Hurricane Sandy battered the east coast over night , my landlady had turned the heat up to 90 degrees it seemed. Ok, so being a Kiva fellow in the US is on the periphery no where near as exciting as being a fellow in say India. (Unexpected hurricanes not withstanding). Instead of dosa and idly I have my standard cereal in the morning, and instead of a tuk-tuk commute to the office I walk leisurely to a nearby coffeeshop that is to be my HQ for the day. However, don’t be fooled that this means working as a Kiva Zip Fellow in the US is any less rewarding, amazing, exciting, challenging or impactful. The work is so entirely self guided that even as a very experienced contractor I found myself at times shell shocked at the daunting task of finding ways to make things happen out of thin air. But happen they did – and you soon find out how great the need for what we do in the US really is, and also how immediate the impact of a loan to one of the zip borrowers is. At first my day to day life as a zip fellow felt surreal. I arrived in Washington and concurrently to sorting out my basic logistics of finding a place to stay etc I was trying to figure out where to start – and how ?- and with whom? The fellows that went to Africa or Central America reported back that they met with their partner organisations, had an office to work out of and a pretty concrete list of things to do. Some even started meeting borrowers within the first few days of arriving. Me? I had a few leads to call and the general guidance of ‘make it happen’! I felt very unprepared! But of course, I wasn’t unprepared at all! The week training at Kiva HQ had actually prepped us well and as soon as I started talking to people I realized I knew exactly what I needed to do and how and who to contact! The Kiva brand either instantly opened the door or at least provided a friendly ear for me to explain what I was looking to do. And also, like any good job interview/selection we were picked and matched to be fellows in exactly the places we would end up serving according to exactly what our skills and strengths were. My natural chattiness and lack of being intimidated by authority served me well in DC. And although the San Francisco headquarter was a few time zones and miles removed, their guidance helped me connect early on with a few organisations that would proved vital over the next 3 months. Within a few days I had meetings scheduled, presentations arranged and a trip up to NYC planned to meet a US borrower and existing Zip trustee. Suddenly I didn’t know where to fit the opportunities in and everyone I spoke to added to my excitement of how much our work helped. I presented to a group of start up entrepreneurs that were just finishing a two months long course helping them with the nuts and bolts of running a business. Their ideas were fantastic, their backgrounds diverse but they all had two things in common : an overwhelming enthusiasm for the kind of business they were starting up, and a drive to overcome the obstacles they faced ( like not getting funding ). I was excited to present them with an option and maybe a potential solution. One presentation and meeting led to another and when after a few weeks I met someone at a networking event who said: “Oh I heard about you” I realised my work was bearing fruit! So my evenings were not full of howling monkeys, washed out dirt roads in the middle of Nicaragua , exotic and questionable food (well…as a European in the US there may have been some of that lol 😉 or language barriers to overcome. But my days were exciting and never the same . I presented at a major conference one day, chatted for hours with someone starting a small non profit in the morning of another and met the CEO’s and executives of a major national non profits that same afternoon. I met a borrower that just got her loan funded and finally saw some light at the end of a tunnel and worked with ones just trying to get on the site. I am leaving my fellowship more enthusiastic then when I started and have deep respect for the multitude of organisations trying to help budding entrepreneurs turn the US economy around. My story differs a bit from my fellow fellow – I was placed with Kiva Zip in the US in Denver, CO, my hometown. I thought to myself, how different could this be? I’ve worked internships that required me to work from home, I’m in the same location – this won’t deviate from the norm. How wrong I was. I quickly found myself having transformed in somewhat of a traveling salesperson. But instead of selling a devious offer, I was selling a chance to gain access to capital for those who found themselves completely underserved and financially excluded. Some days were much too long with back to back to back meetings and countless elevator pitches. Some were short or nearly empty. I found myself cozied up in coffee shops all over the front range of Colorado – researching, following up, or struggling to keep my chaotic spreadsheet of contacts organised. In the past few months, because of this fellowship – I have had the pleasure of meeting an advisor to the President, a senator, the executive directors of nearly every large non-profit based in Denver, and countless well-connected people who have stories that would make your jaw drop. I’ve attended conferences, hosted events, and given presentations and with every meeting, every conversation, I have been inspired and humbled. It’s amazing who you get to meet with the Kiva name behind you. The most memorable moment of this fellowship for me, however, was the ongoing interaction with one of our borrowers. This woman falls into the ‘financially excluded’ category. She has had trouble gaining access to capital and with Kiva Zip she’s been able to get a $5,000 loan to start her catering business. In a conversation with the director of the organization that had provided an endorsement for the woman I was told that when our borrower was shown her page for the first time her eyes filled with tears. She had already gotten a few lenders and was completely blown away by the idea that there are people out there cheering her on and willing to give her a loan. On Kiva Zip, there’s a conversations feature where the lenders of each loan can leave comments for the borrower to see and the borrower can respond. This borrower’s conversations tab is one of the most encouraging things I’ve seen while with Kiva Zip. The lenders are incredibly supportive and the borrower can respond and thank her lenders directly. This fellowship was not what I was expecting in any way. It has been a learning experience throughout. My jealousy of the fellows in exotic places remains but I wouldn’t trade my hometown fellowship for the world.